Unlike before where the network support for most smartphones are 2G and 3G, phone technologies have quickly moved passed the 3G (3rd generation) network system and we are now in the 4G LTE era where it is now difficult to see newer and modern smartphones coming without 4G LTE network support. 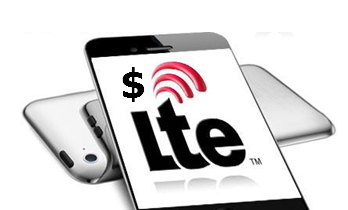 Many new and modern smartphones now support the 4G LTE network technologies and it no longer uncommon to easily see or hear people telling you that they want to buy smartphone with 4G LTE support. In fact, having a smartphone without 4G LTE support these days makes your phone seem outdated and you would most likely need an upgrade if you really want to experience modern high-speed internet access that 4G LTE technology offers in our time. Now, are you in Nigeria and you are looking to get the cheapest smartphone with 4G LTE frequency supports for all networks in Nigeria? Just getting a 4G LTE network support smartphone might be good, but what you don’t know is that you might not still be able to enjoy to fullest the 4G LTE supports that your phone offers with every network provider SIMs due to variations and unsupported 4G LTE frequency bands. Therefore, for you to enjoy the 4G LTE support in your phone, you will need a smartphone with wide varieties of 4G LTE frequency bands that all the major network providers in the country are also supporting. For example, MTN, Glo, 9Mobile etc. offers their 4G LTE services under different frequency bands and your phone needs to support each and all of their frequency bands before you can use your 4G LTE enabled phone effectively regardless of the network you are subscribed to. Since you might be looking for the cheapest smartphone in the country with 4G LTE support for all the major network providers in Nigeria, we present to you the Nokia 2. The Nokia 2 is currently the cheapest android smartphone that you can think of with 4G LTE support for virtually all the network providers in Nigeria and this phone is currently selling for just less than $100 at about $95 (N34,000). It supports the MTN 4G LTE frequency band, which runs under band 20 (800MHz) and band 7 (2600MHz); the phone supports Glo 4G LTE network on band 23 (700MHz); it also supports the Etisalat 4G LTE frequency on band 3 (1800MHz). Aside that, the Nokia 2 also has 4G LTE support frequencies for network providers like Ntel, Spectranet, Swift and Smile.